What is the proper way to ask Mr. Panda for doughnuts? Patiently and politely, Mr. Panda asks the animals he comes across if they would like a doughnut. A penguin, a skunk, and a whale all say yes, but they do not remember to say "please" and "thank you." Is anyone worthy of Mr. Panda's doughnuts? 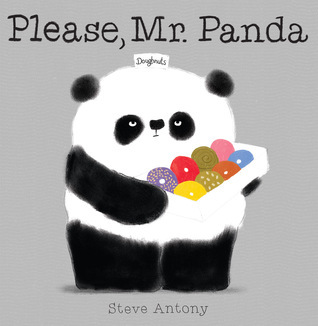 Steve Antony has captured a cute panda, delightful animals hungry for doughnuts, and a manners lesson. With adorable black-and-white animals and brightly colored doughnuts, Antony's art is bold, striking, and engaging -- and now available in a hands-on board book version that's just-right for curious little ones. Mr. Panda is a prig. Seriously. He gets persnickety when the animals he encounters don't say 'please' when he asks them if they want a doughnut so he then is rude and retracts his offer of doughnuts. And why the heck is he walking around with a box of doughnuts anyway? He bought them despite not liking them so did he buy them to give away? Was he conducting a social experiment? Only Mr. Panda knows. But you can only have them if you behave according to some unexpressed standard of politeness? Dude, chill. As you can see, I'm not a fan of Mr. Panda, but the children in my toddler class love the book. They've been obsessed with it since we acquired it several months ago. The text is simple and repetitious with just enough variation so the children don't get bored. 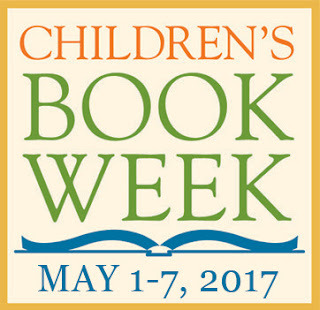 The artwork is delightful, simple but expressive, eye catching but not bright, and full of tiny details. I do rather like Mr. Panda's grumpy face, and the delightful lemur. You can use this book to discuss good manners or simply enjoy the artwork and the slightly absurd story. Just ignore the logic and go along for the ride.